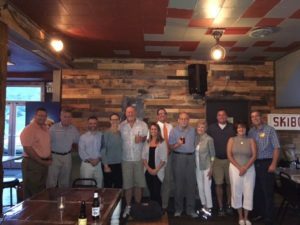 The Shaler Area Rotary has an evening meeting on the last Wednesday of every month which rotates to a different local business. 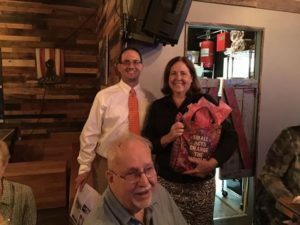 The goal is to allow Rotarians and guests that can not make the Wednesday lunch meetings at the 412 an opportunity to still participate in Rotary. 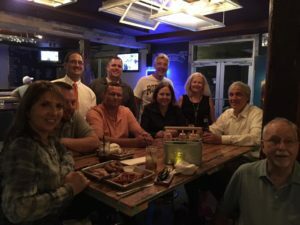 They are also family friendly events to allow family members to share in the comraderie that is Rotary. 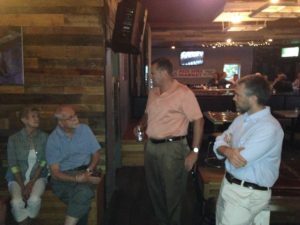 The August meeting was held at the Wheelfish and we were joined by Representative Hal English who spoke briefly on local issues impacting our community. We also welcomed Chris Chirdon of Bike Walk Shaler who shared with us several projects that they are planning to make Shaler safer for local pedestrians and bicyclists.